We are a masonry restoration and sealant company specializing in Property Maintenance - REAC Repair Services, Tuck Pointing, Masonry Cleaning, Restoration, Cleaning, Fire Stopping, Concrete & Balcony Repair, Water Repellants, Epoxy's Caulking of Masonry, concrete, metal panels, glazing, Dryvit systems and windows. We strive to utilize quality materials with trained craftsman to insure that our clients property is protected with excellent work, timely completion and overall satisfaction. We place special emphasis on helping clients meet their specific needs. We believe that responsiveness and flexibility play a major role in our success. Our diagnostic approach to failed building facades have resulted in the repair and restoration of many construction projects. Company owners Allan McArthur and Mark Beeson, personally assess every job as if it were their own and are in charge of all estimates. Please contact us for a FREE estimate or additional information on the services we offer. To ensure competeitive pricing while maintaining the same standarads and excellence of quality in our work on time and on budget. 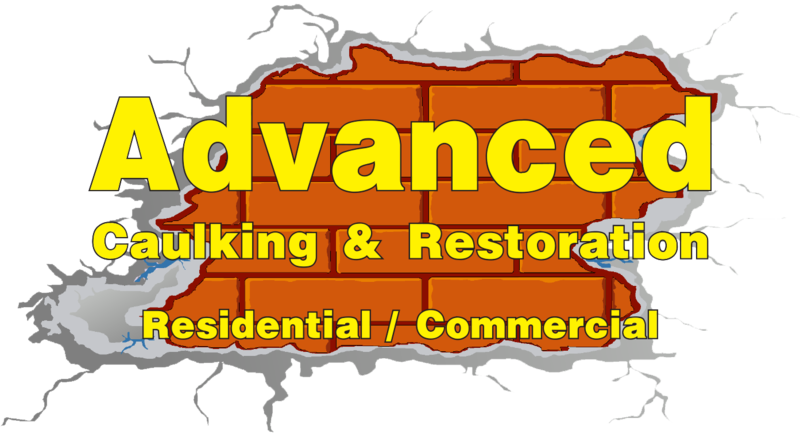 Advanced Caulking & Restoration, LLC, is a fully insured company based in East Canton, Ohio and is engaged in a wide variety of services in the construction field. Our services include Caulking, Tuck Pointing, Pressure Washing, Concrete Repairing, Fire Protection, Masonry, Water Repellants and Painting for Commercial properties, new construction and restoration. Over 40 years combined experience. Our company is committed to exceed standards that are demanded by the best companies in the construction field. We believe in sustainable and long-term relationships with customers and suppliers. Please do not hesiitate to request a quote for your upcoming projects; we promise you a very competitive price.